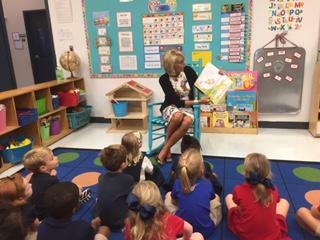 Education Secretary Betsy DeVos reads to a kindergarten class at Holy Comforter Episcopal School. 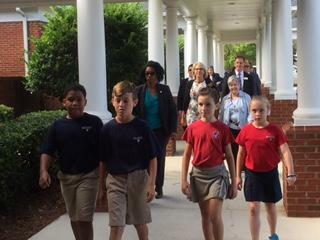 Students lead Education Secretary Betsy DeVos across the campus of Holy Comforter Episcopal School. Betsy DeVos visits a 5th grade class at Holy Comforter Episcopal School. 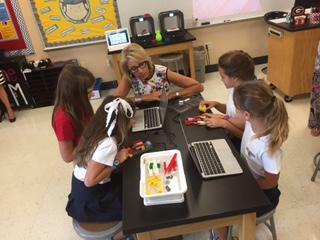 Betsy DeVos watches as students program a robot built out of Legos. United States Secretary of Education Betsy DeVos visited Leon County Tuesday, making stops at Holy Comforter Episcopal School and the Florida State University Research School. DeVos used the trip to champion school choice and individual liberties. Trump Administration Education Secretary Betsy DeVos presents herself as a champion of religious education and school choice. It’s fitting that her first stop in Tallahassee was at Holy Comforter Episcopal School. Crosses are prominently hung in classrooms and the school honor code directs students to let God’s love guide them. 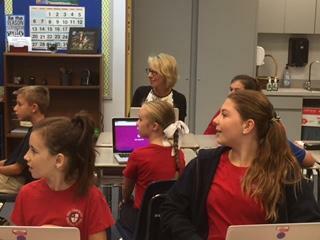 DeVos first visited the 5th grade classroom of Mrs. Russell to catch a lesson on idioms. DeVos logged her answer through an online program with the rest of the class. She then moved across the hall to meet Mrs. Cureton’s kindergarteners and pulled out Dr. Seuss’s Oh The Places You’ll Go. Holy Comforter charges more than $11,000 per year in tuition. That enables school-issued MacBook Pros, programmable robots made of Legos, and 3-D printers in the science labs. Based on resources alone, the places these students will go could be very different than those at Oak Ridge or Riley Elementary. Those public schools both earned D grades this year. But DeVos says choice and individual liberty should trump other issues. “So again I would just say, instead of focusing on buildings and systems, we should just focus on individual students,” she said. For those who can’t leave a failing system, it’s not clear what DeVos’s solution is. Denise Howard is a mother of three, with children at FSU’s lab school and Conley Elementary. 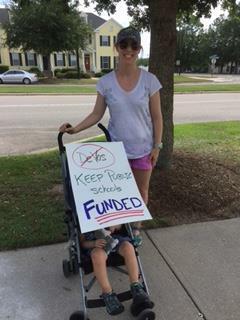 She came to DeVos’ second visit pushing her youngest in a stroller, and carrying a sign that reads ‘Keep Public Schools Funded’. “She wants to funnel funds away from public schools and put them in charter schools and private schools and I disagree with that,” Howard said. Howard criticizes DeVos’s support of for-profit charters. She doesn’t want her child’s school to be lumped into that category. “I think that’s what upsets me some. If she is trying to use Florida High, Florida State University Schools as this shining example of charter schools. That is not her brand of charter school,” she said. FSUS is actually considered public, and treated as its own school district. DeVos’s visit got pushback from other parents, and from the Florida Education Association, the state’s teachers’ union. The FEA argues that DeVos’s policies favor alternative schools, which don’t have to meet the same accountability requirements. At the writing of this story, DeVos has no plans to visit a Leon County public school. 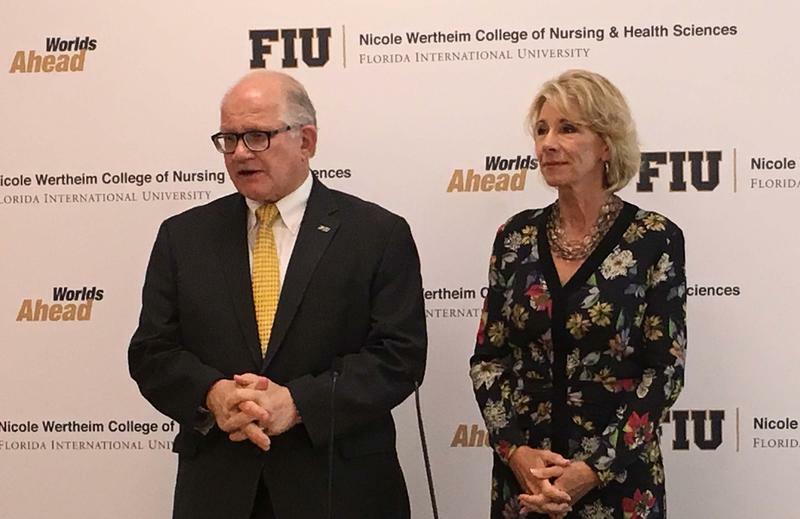 U.S. Secretary of Education Betsy DeVos visited Florida International University on Thursday, as part of a tour through educational institutions in Miami. 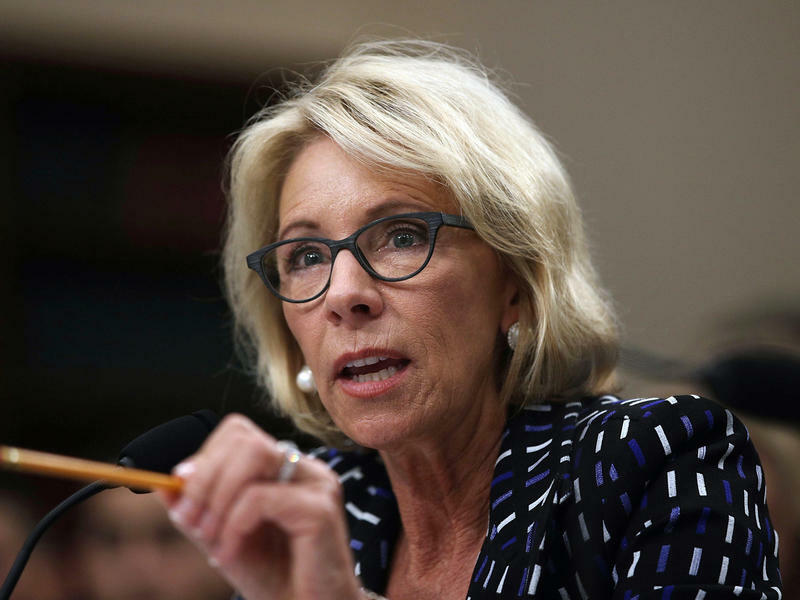 DeVos will be also visiting three elementary schools in Miami - the private Christian Academy for Reaching Excellence or CARE, the Sports Leadership and Management charter school or SLAM, and Royal Palm Elementary School, an “A” grade public school. She will be in the area until Friday.